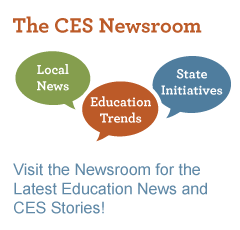 Visit the CES Newsroom to view more articles. is a non-profit educational service agency, committed to reaching and educating learners of all ages, and experienced in working with educators to help students learn and succeed. Founded in 1974, we work closely with our 36 member public school districts in Hampshire and Franklin Counties as well as with schools, school districts, educators, educational organizations, families, and a range of community, foundation, and business partners across the Commonwealth to enhance educational opportunities for children, youth, and adults with a focus on those at risk of failure. CES directs major initiatives in Early Childhood, Special Education, After School Programs, Professional Development, Educator Licensure, Educational Technology, Social Justice in Education, and the education of vulnerable youth. to foster educational excellence and opportunity for all learners through collaboration, and leadership. that obstacles to learning can be overcome, and, once that happens, learning is natural for everyone.